Teach your child about healthy eating! 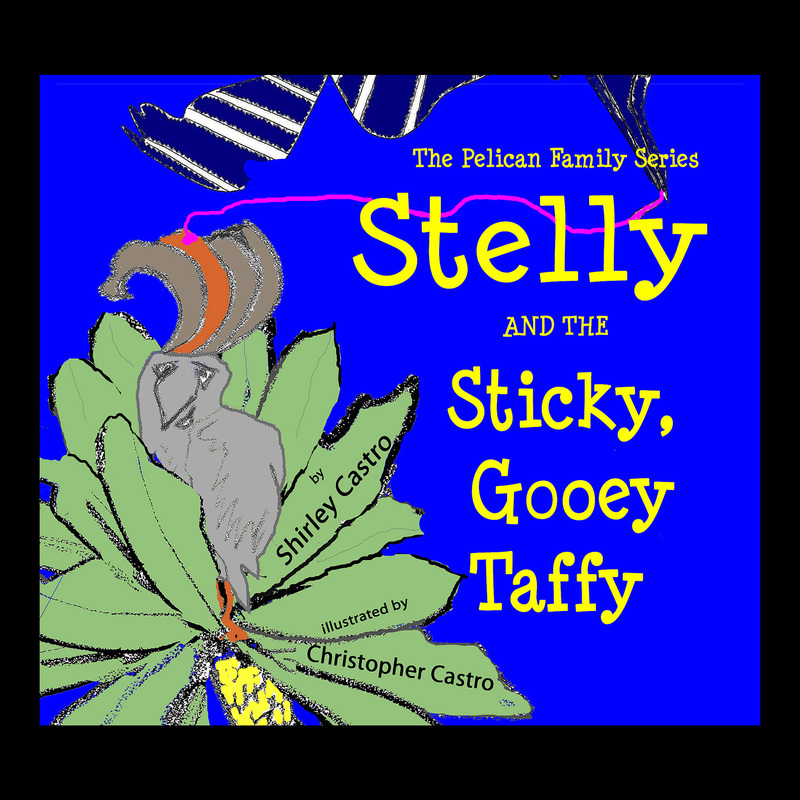 A fun read for children ages 5 – 9. 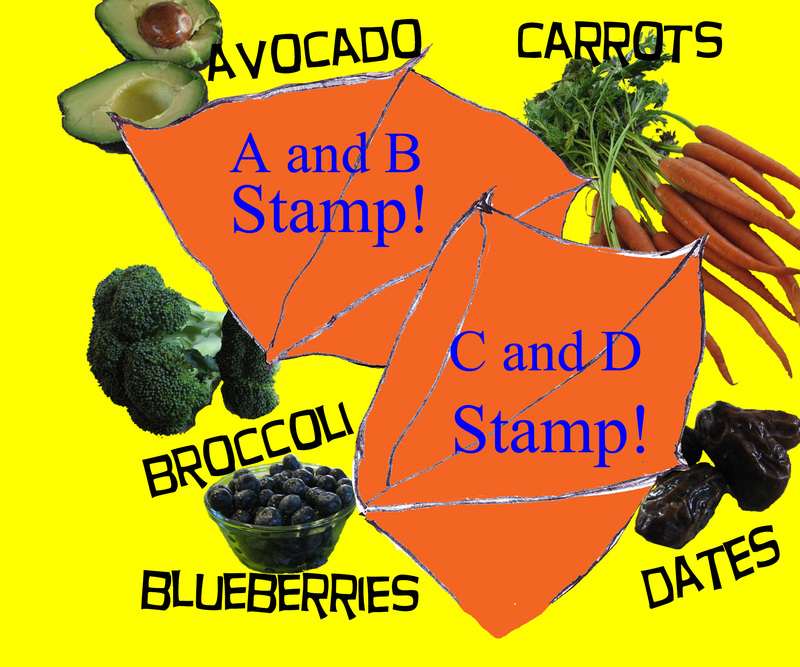 Are you trying to teach your children about healthy foods? 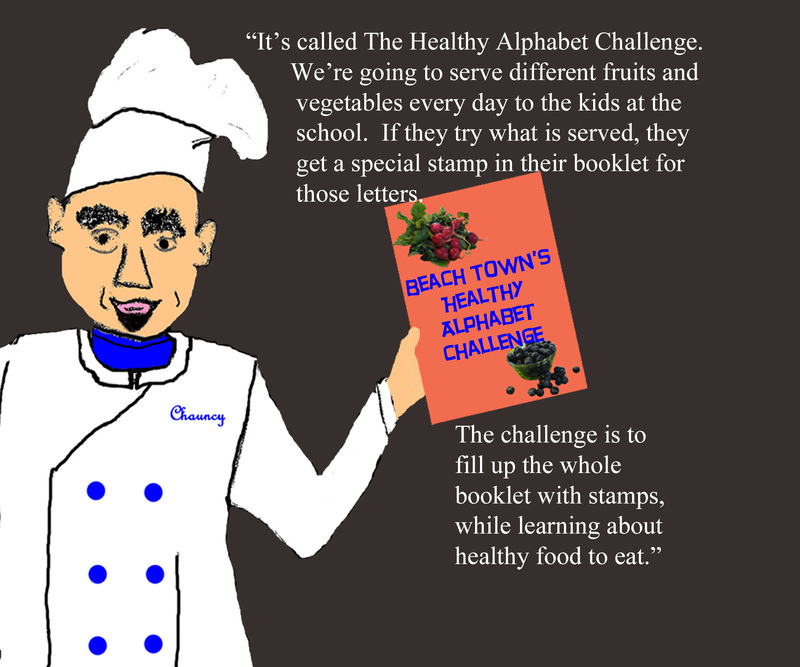 Then Delly and the Beach Town Healthy Alphabet Challenge is for you! This full-colored picture book is packed with beautiful photos of fruits and vegetables from A-Z. And there is a bonus! 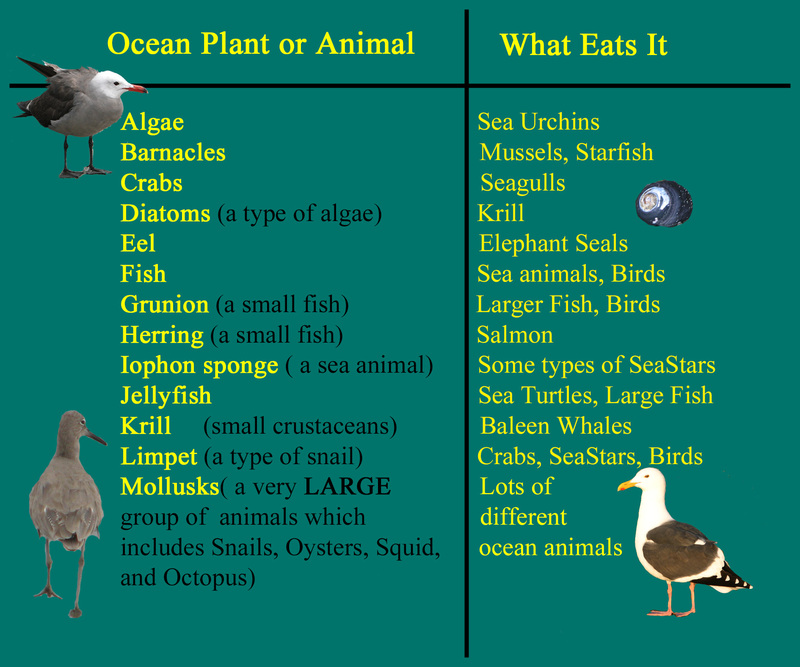 At the back of the book is an alphabet chart of what sea and shore animals eat! 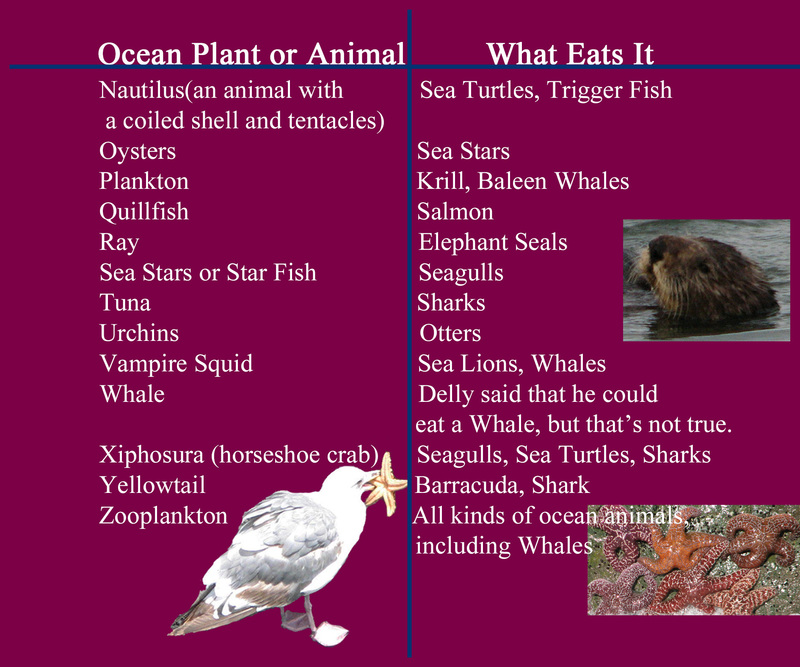 Not only will children learn about healthy eating, but they will also discover some interesting facts about sea animals and food chains. 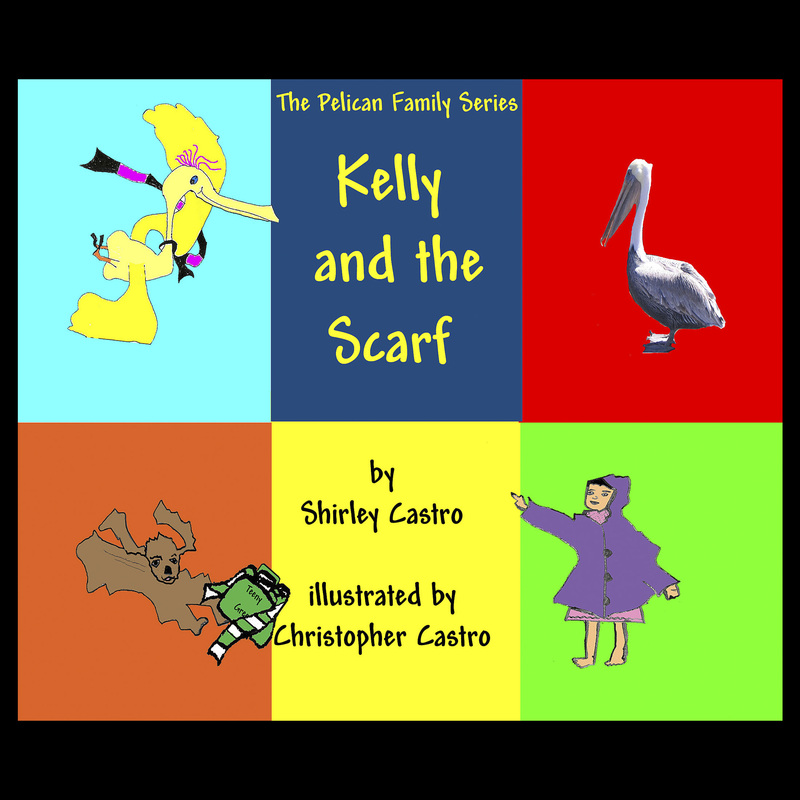 The author has over 30 years of experience working in children’s education. 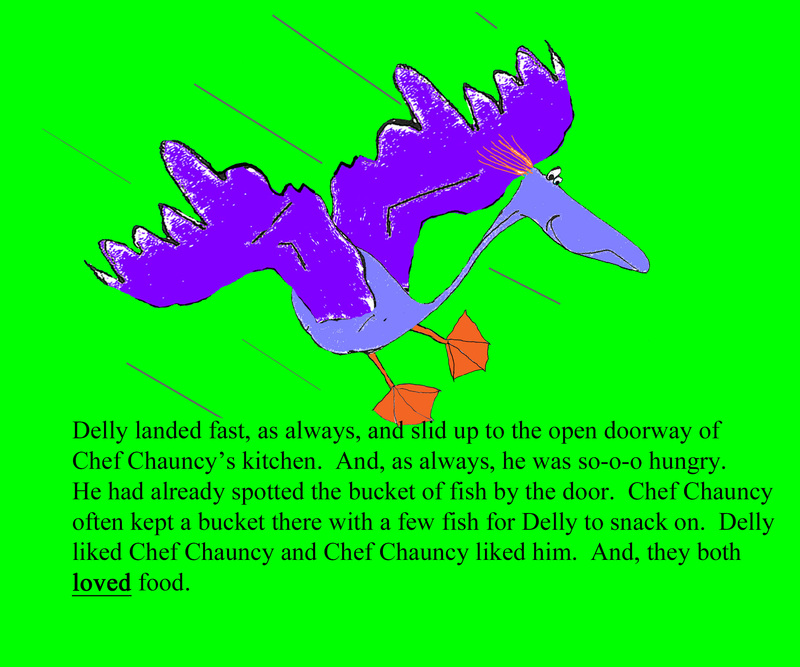 She wrote Delly and the Beach Town Healthy Alphabet Challenge not only so parents, family, and educators could further develop children’s literacy, but also to build a strong foundation of nutritional awareness. Your child’s health, and your child’s early literacy development, depend mainly on you. 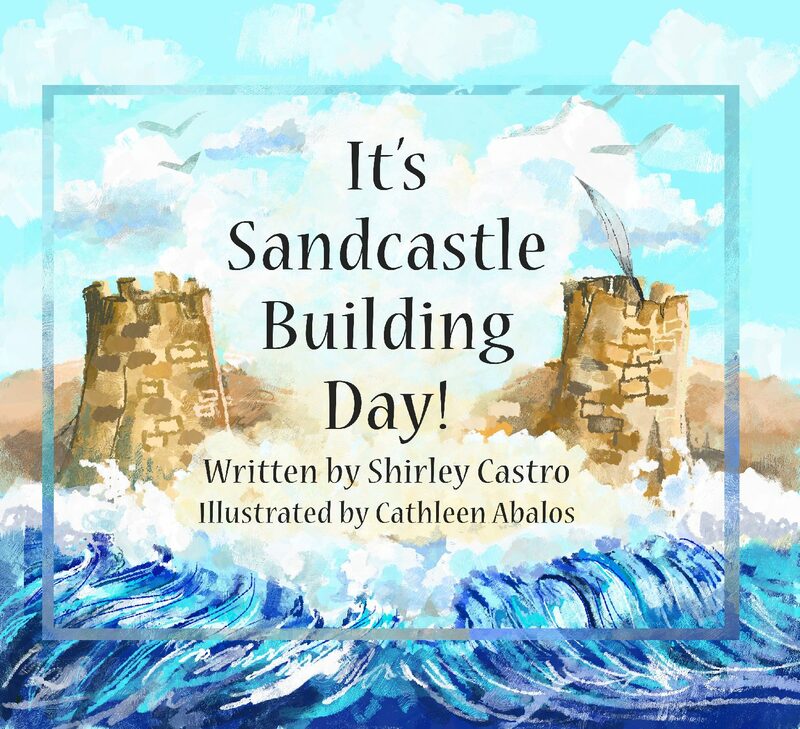 Picture books, meant to be read to children and discussed with them, give adults an opportunity to present ideas and vocabulary beyond your child’s present reading level. Some of the ideas in this book are the importance of fruits and vegetables in your daily diet, working together for the good of the community, and food chains. 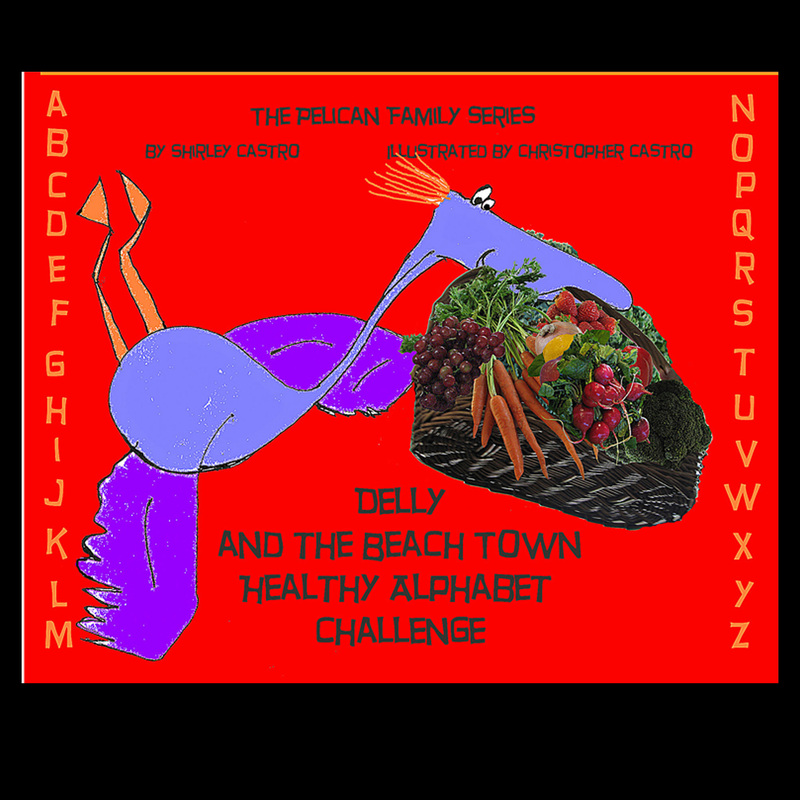 Delly and the Beach Town Healthy Alphabet Challenge will help you teach your children about healthy eating in a fun way. 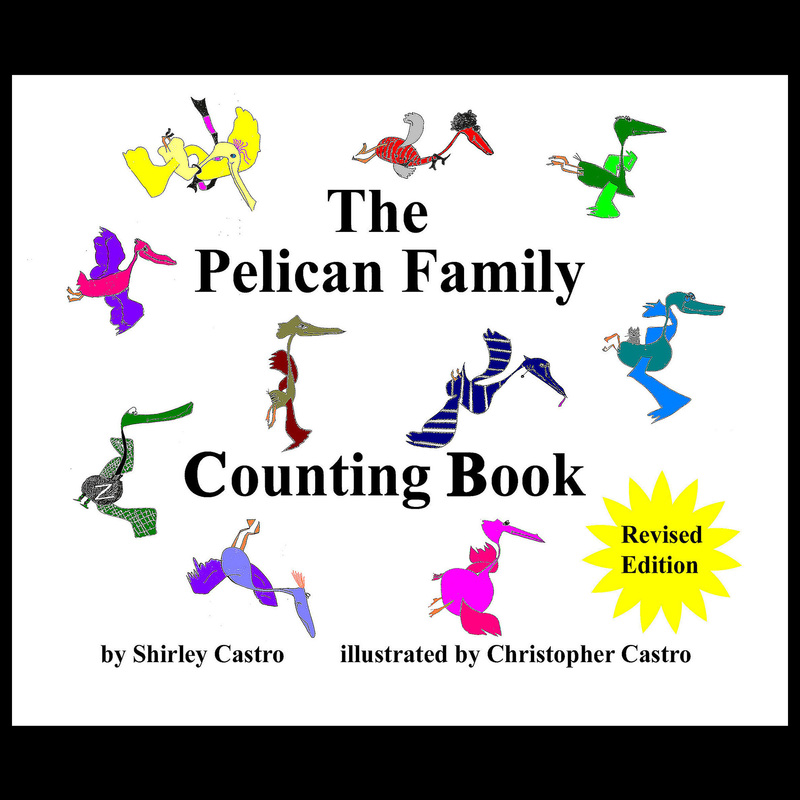 Expand the use of this book by having your child, or your family, make a Healthy Alphabet Challenge Booklet which shows which foods are eaten in the order of the alphabet. Children could use pictures they draw, or photos, and write comments about who in the family likes that fruit or vegetable and how it is prepared for eating. 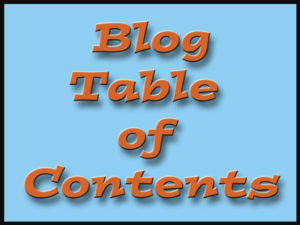 Click on the Activities and Resources tab to get a cover for your booklet that you can print out. 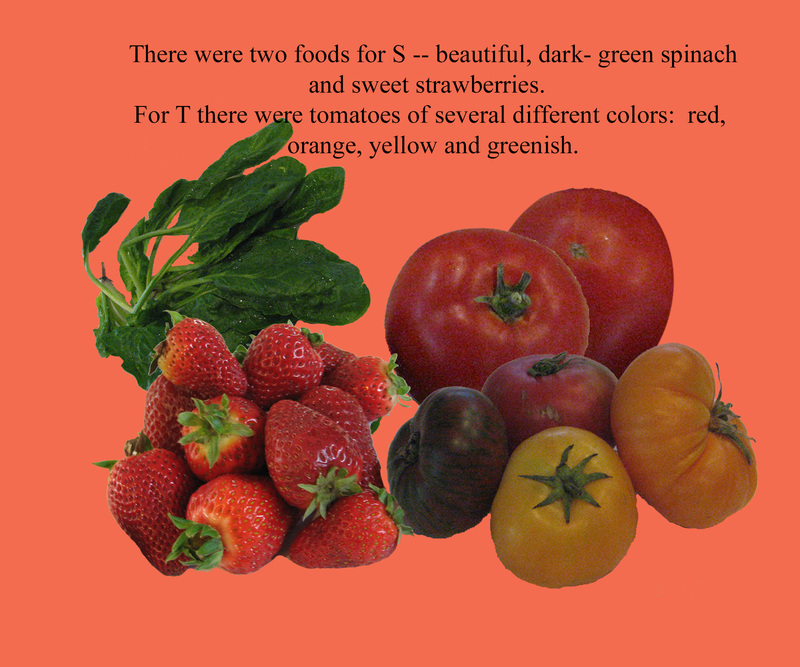 This book is useful for very young children to introduce them to different types of fruits and vegetables, and as a beginning alphabet book. Don’t worry about reading the whole story, just let them look through, point to and talk about the pictures and letters. Connect the book with real fruits and veggies to touch and taste. 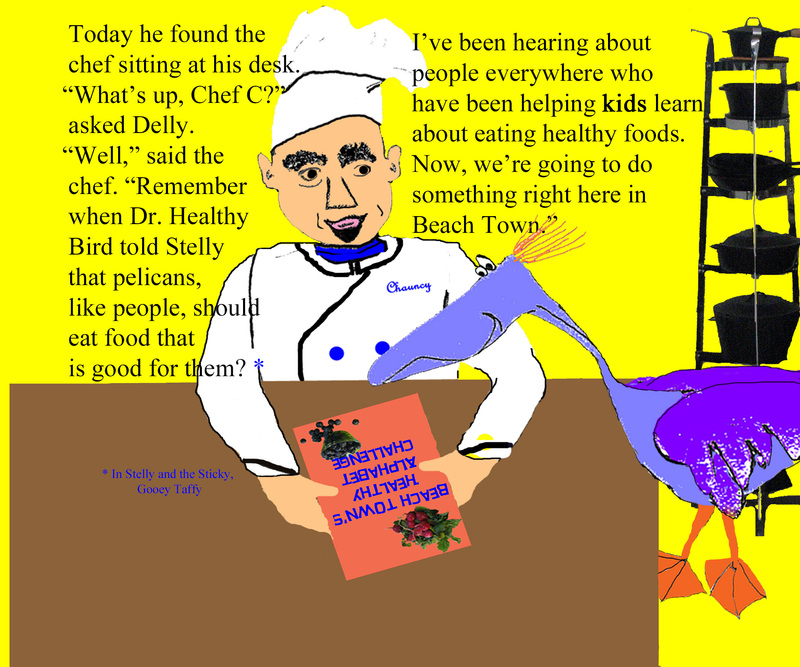 For older children, the content, sentence length, and wide range of vocabulary will help them further develop their literacy, as well as be able to think about and discuss community involvement in the health of its citizens, how nutrition is important for health, and life and food chains in the ocean.